Yossi is Told to Take off His Kipah at a Soccer Game. Would You? Sometimes doing the right thing is easy, but sometimes it involves giving up something we love. 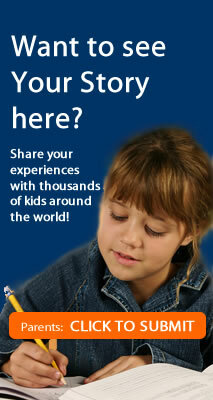 Yossi Weinbaum is 9-years-old and lives in Hawaii. He has been playing soccer for three years, but recently he came home from a game in tears. 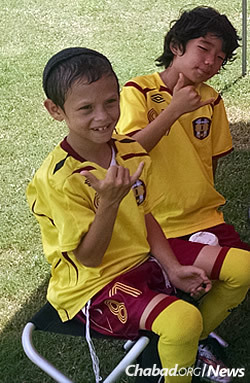 Unsure of how to proceed, Yossi—who has never encountered a problem like this before—took the advice of his coach to tuck in his tzitzit and get back on the field, joining his teammates on “Hawaii 808.” Within minutes, he scored a goal, and things appeared to be back to normal. But then in the second half of the game, the referee noticed his kipah and ordered him to remove it or leave the game. Even though he loves the game and wanted to play, taking off his kipah was non-negotiable, so Yossi walked off the field. Later, Yossi received a letter of apology from the referee who did not know what a kipah and tzitzit are, and also from the Oahu League President. Yossi can now play again with confidence, having learned a valuable lesson about himself: he is strong in his convictions, even in the face of challenge. Have you ever been in a similar position? Tell us about it in the comments below! 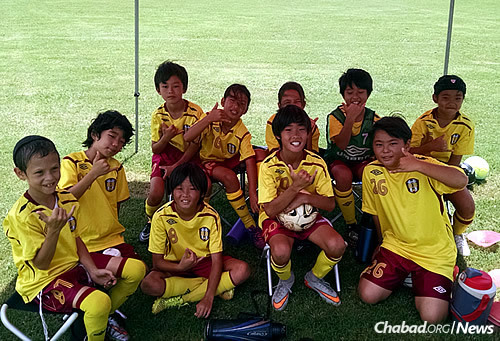 Yossi Weinbaum, left, and his soccer team in Hawaii. The 9-year-old left a game this season when a referee asked him to remove his kipah (after he was required to tuck in his tzitzit). I kind of had a similar story. Somebody took me out to go shopping, and there were free samples of something. The person who took us asked if we wanted... It did say it was kosher. She tried t and said it was the best. I told that person I wouldn't eat it until I asked my parents if it was kosher. My brother said he would like to try it, but I told him it might not be kosher. When that person put it infront of his mouth to drink he said, I'm okay.